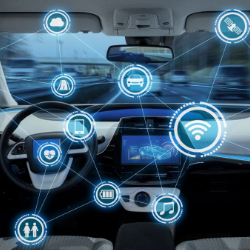 Amphenol RF has released its connected car focused white paper titled, “The Connector Car Market: Amphenol RF Solutions.” This technical paper explores the emerging automotive sub-market and covers relevant products that meet the needs of these applications. As technology becomes more integrated into vehicles, the company’s radio frequency connectors, coaxial adapters, and cable assemblies play an integral role inside the infrastructure. Popular applications which include are products are those such as ADAS, infotainment, 360-degree cameras, GPS, In-Vehicle Wi-Fi and a variety of others. The white paper covers subjects including: the evolution of the automobile industry; an overview of the connected cars sub-market; elements of the connected car; and variations of the industry standard FAKRA connector.